In August 2018 Anne Usher (nee Dickens) set off to travel around the world on a tandem bicycle with her husband, Simon. We speak to Anne about their journey so far. 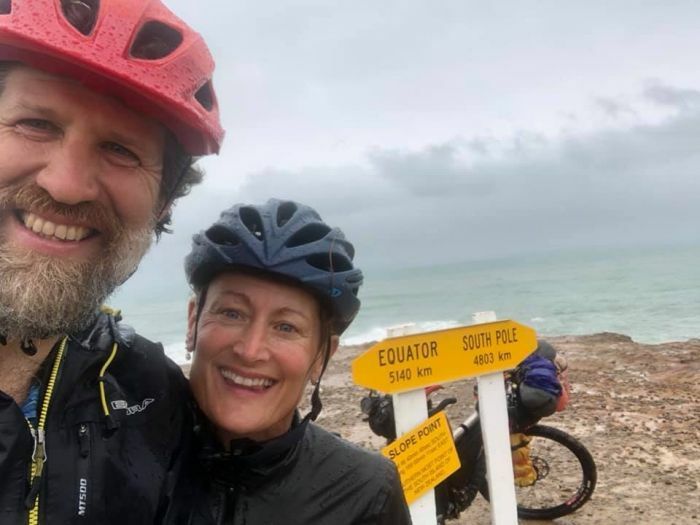 Last August Paralympian Anne Usher and her husband, Simon, decided to pack their bags and a puncture repair kit, and cycle around the world on a tandem bicycle. 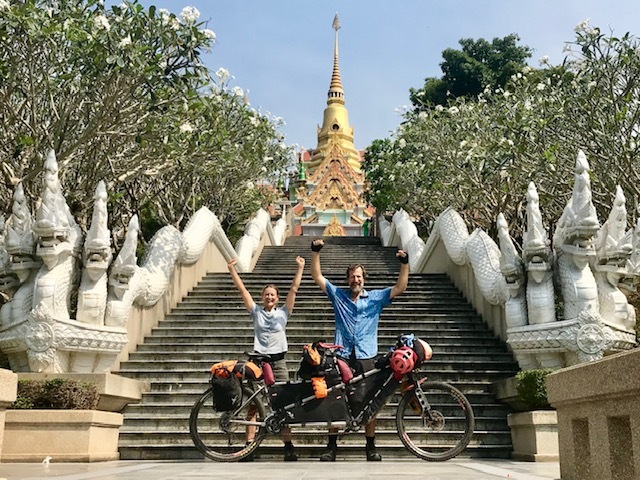 Since starting their bike-packing adventure, Anne and Simon have encountered 14 snakes, cycled over 10,000 kilometres, and climbed more than 900,000 metres, all on a tandem bike. With destinations like Mexico, Thailand and New Zealand ticked off their bucket list, the snakes almost seem bearable. 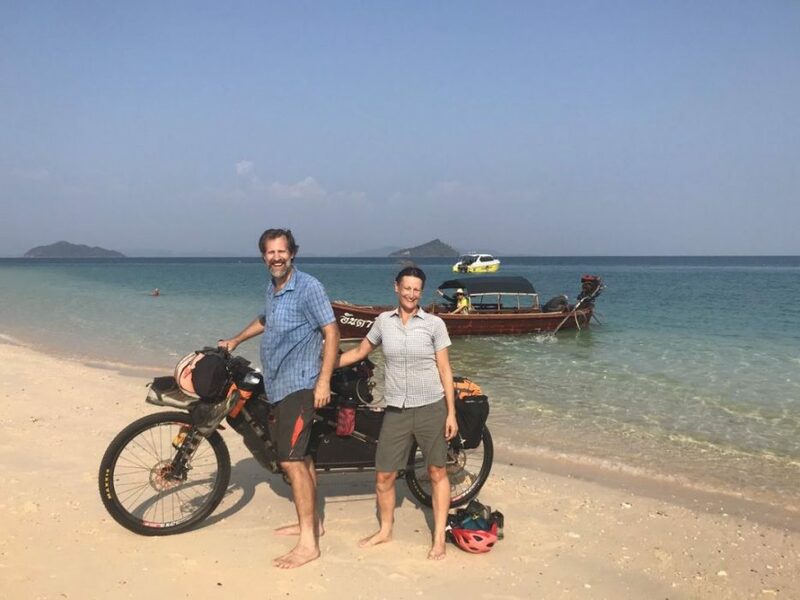 As they pedal from Canada to Cambodia with plenty of stops along the way, Anne spoke exclusively to Enable about their journey so far. When did you first start using a tandem bike? When I arrived back from the Rio Paralympics a tandem was waiting for me. My husband wanted to give me something new to think about and we soon decided we loved it. When I was asked to be a celebrity captain at Superhero Series I decided I would like to try to attempt the bike part of the triathlon. Our first practice rides were really short, but I managed to complete the Superhero event. After this I continued training as I loved it so much. Two years later look where we are now! 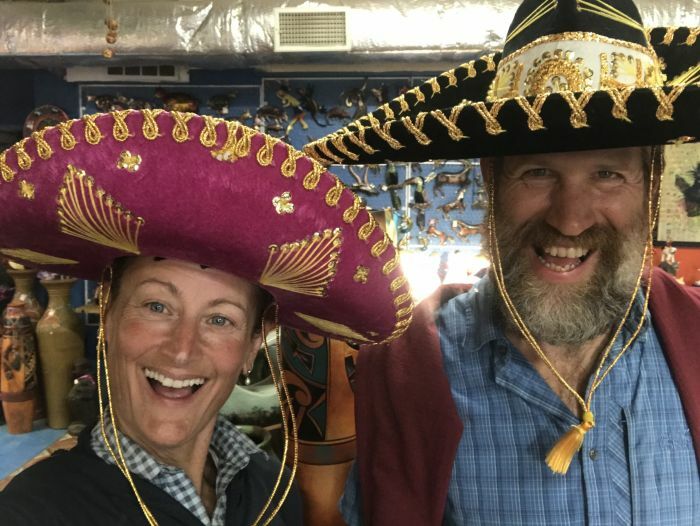 When did you make the decision to cycle around the world with your husband? From personal experience we know that life can change in an instant so my husband and I decided to go travelling now while it was possible to do so. It started off as a two-week holiday, but the idea grew and grew until we were quitting jobs and taking a year off. The decision was made in May last year and we left in August. I wanted to do something very different and I like a challenge. The Continental Divide is the longest (over 3,000 miles) off road mountain bike route in the world. The challenge of seeing if I could ride a tandem with my dodgy leg for a really, really long way appealed to my sense of optimism and adventure. It also went through a place called Pie Town, which was what convinced my husband it was worth doing. We then decided to carry on, eventually to Cambodia simply because Cambodia is next to Canada alphabetically. Why bike-packing instead of the traditional backpacking? It’s all about freedom. Carrying a tent, cooking equipment and all you need with you means you can go absolutely anywhere. At points on the trail we have been nearly 200 miles, three to four days riding, from civilisation, let alone a hotel. We absolutely love the simplicity of bike-packing, and the people you meet because you’re not on the normal beaten track. What has it been like seeing sights around the world with your husband? In a word? Awesome! On a tandem we are able to see things at the same time and re-live it afterwards saying – wow! Did you see that, or did that really happen?! Has there been a highlight of the trip so far? I’ve been keeping a list of highlights and lowlights from every day. There has hardly been a single day when we struggled to list several genuine highlights. A tandem is like a fluffy puppy – everyone wants to come and say hello to us which has been great. Although the scenery has been mind-blowing, the highlight has definitely been the people we have met along the way. We have met incredible, local people who have shown us such incredible generosity, from so many different cultures and religions. Our experience has taught us to throw away prejudice and learn about people and cultures for yourself. The biggest challenge for us has been pushing beyond what our bodies are capable of or continuing on when our systems were telling us to stop. This was most notable in Wyoming, as we were about to head into a boiling hot and dry desert for four days just as I was recovering from my only cold and Simon was just coming down with it. We felt we couldn’t take a break because we had to get over the high passes in Colorado before the snows came. That next few days drained our resolve to the core because we were exhausted and also ran low on water. But we pushed ourselves to keep going and got through it (just). In the end pushing on was the right thing to do because we crossed the highest pass two days before the serious snow came. On your blog you have spoken about facing some of your fears while on your trip, could you tell us a bit about this? I always thought I was fairly brave because I end up doing things that other people comment afterwards they could never have done. I’ve discovered on this trip that I’m actually scared of lots of things – grizzly bears, wild fires, snakes, thunder storms (either when you’re in a tent or while cycling), to name but a few. My desire to continue on with our adventure is so strong that I’ve had to find ways to understand, manage and then move past these fears so they don’t prevent me from doing the things I love. I have to acknowledge that the fear is natural, but still just a fear and not necessarily a reality. I look beyond the fear and remind myself (constantly) of what it is I want to be able to do, and then I smother the irrational fear with logic and a clear coping plan, (should the fear ever become a reality). I then take a deep breath and just get on with it. It’s a great way to prove to yourself that most of what we fear never actually happens beyond the dark recesses of our minds. Do we succumb to the fear or choose to have a life we want? How have you kept going when things got tough along the way? There’s two parts to this. If it’s physically tough I have found a few techniques which I used when I was training as an elite athlete that work for me. Say I’m cycling up a long hill and exhausted and I don’t think I can make it to the top, I say a mantra to myself. Something like, “nothing lasts forever, every hill has a top and this will be over soon” – over and over. Then I play games saying I won’t stop yet, I’ll just do 10 more pedal strokes. Any one can do 10 pedal strokes. Then another… and its amazing how many sets of 10 strokes you can do. If it’s emotionally tough I try and trick my brain into seeing the situation differently. At the end of the day, some things you can’t control, so I’ve decided it’s silly to waste energy being negative. Instead I try and see the funny side or try and see how (retrospectively) it will be a really cool experience to have had. Being with someone else helps at these times, as you can share the burden and keep each other going. What’s next once you have completed this cycle? That’s a good question! In the short term I am looking forward to catching up with my family and friends who I haven’t seen since we left. I would also like to do more inspired speaking in schools and businesses. I love sharing my stories and experiences, hopefully inspiring others to achieve more, and I now have many more adventures to talk about. Read more about Anne’s adventure around the world on her blog, Views from the Back. Follow Enable on Twitter and Instagram for all the latest news and events. Be the first to comment on "Cycling across the world with Paralympian Anne Usher"